We specialise in high quality, mouth blown glass teaware. If your business is looking for something really different to wow your customers, we're confident our beautiful glass teapots will do the trick. - Choose from an exclusive range of high quality glass teapots and cups. - Highly competitive trade prices on multiple sized models. - Robust Glassware designed to withstand the rigours of the catering industry. - No minimum quantity or order value required. - Personalised service and fast, easy online ordering system. - Free Next Day delivery via DPD Local on all Mainland UK orders over £150. - We carry replacement lids and infusers for all our glass teapot models. 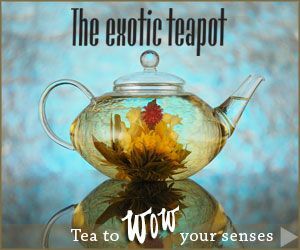 - Extensive range of cast iron, ceramic teaware and specialty teas to enhance the experience.